No matter where you want to go, you can always find deals on vacation packages. 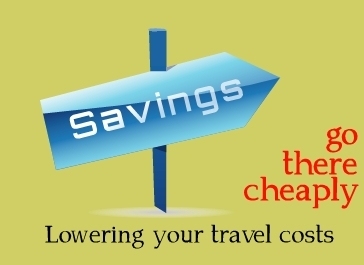 More often than not, buying a vacation package is less costly than paying for every part of the trip separately. Leading online travel agencies often give the option of paying for the airfare, hotel room, and car rental at the same time – and save money in the process. 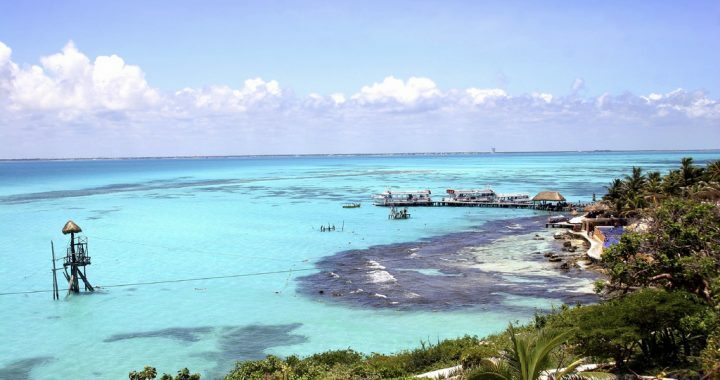 There are vacation packages to just about every destination in the world, ranging from tourist hot spots to lesser known spots off the beaten path. Some of these packages are general and don’t have a specific theme. If you do want to take a vacation that is tailored to your needs, you’ll find deals on family vacations, cruise trips, ski trips, and more. When it comes to taking a trip with the entire family, you need to consider the interests and preferences of everyone in the group. There should be something at the destination spot that appeals to everyone. Popular destinations for families include Disney, SeaWorld, Bush Gardens, the Bahamas, Universal Studios, and so forth. Another popular vacation spot for families is one that might surprise you: Las Vegas. These days, Vegas is a highly versatile city. It’s not all about gambling and nightlife, there are fun, safe family activities as well. Some resorts offer free or discount tickets to small children. If grandma and grandpa are coming along, they might be eligible for senior discounts. Be sure to go with a package that is specifically tailored toward families. In addition to fun activities, some offer educational experiences as well. A Grand Canyon trip, for instance, can be exciting AND educational both. At parks such as SeaWorld, there are programs that allow visitors to interact with some of the animals. A ski resort is the perfect getaway for anybody. Even those who don’t ski still find this type of vacation enjoyable. It gives them a chance to relax in a beautiful, snowy setting. The enchanting atmosphere also makes skin vacations an ideal romantic getaway. No matter when and where you want to go you will find a variety of packages online, including accommodation at certain resorts or cabins, options to rent ski equipment, and so forth. When deciding on a ski vacation, think the level of experience of everyone in your group. If everybody has different levels of experience, then go to a destination spot that offers multiple slopes and ski paths. Another thing you’ll want to decide is where to go. There are the popular ski resorts such as Aspen, Lake Tahoe, and Winter Park. These aren’t for everyone, however, and there are many other ski destination spots scattered across North America. If you really want to go all out, why not go to an international ski resort? Imagine how exotic it would be to ski at the Swiss Alps or Kiroro in Japan. There are just so many great destinations that it’s impossible to list them all. What you can do is look over all of the packages and read reviews on each resort. Go with the package that not only interests you, but offers something for everyone in your group. Most vacation packages include airfare and hotel accommodation both. The accommodation can also be at a resort, inn, rental cottage, villa, and so forth. Even if you don’t select a specific vacation when booking your trip, most online sites will give you the option to book both at the same time. New offers pop up on the internet every day. Many of these come in the form of last minute deals. If there are a number of empty seats a day or so before a flight, airlines will sometimes offer extra savings in hopes of getting those seats filled. The same goes for hotels and resorts that want to keep as many rooms filled as possible on any given night. Whenever flight deals come from a specific airline, you need to check and see if that airline serves any cities near you. Also, make sure the dates of the flight and hotel stay coincide with your schedule. If you have a flexible schedule, then this won’t matter as much. As for hotel deals, some packages require that you stay for a minimum amount of nights, which can range anywhere from two to ten. Who doesn’t dream of spending a few days on the sea, relaxing on a ship filled with luxury and entertainment? Today’s cruise liners are as large as small cities. They’re filled with dining rooms, ball rooms, theaters, tennis courts, swimming pools, shops, restaurants, etc. There are thousands of cabins and rooms, some of which have windows. The cost of a cruise varies, depending on factors such as the ship line, departure port, ports of call, season, number of nights, and so forth. Some cruise vacation packages include airfare to and from all of the ports that particular line serves. As for destination, in which part of the world would you like to explore? There are cruise vacation packages for Alaska, the Hawaiian Islands, Caribbean islands, Mexico, Key West, the Mediterranean, etc. Wherever you want to go, be sure to check out excursion opportunities. You won’t be the on the sea during the entire cruise – you’ll get a chance to spend some time on land whenever the ship makes a port stop. You must decide whether or not it would be cheaper to arrange excursion activities with the ship line itself, or book them with a third party. Another thing to consider when comparing packages is whether or not there are any special perks included, such as on-board credit and food discounts. Whether you want to go on a ski trip, family trip, cruise, or exciting getaway, always look online for deals on vacation packages. You might be surprised at how affordable even the most luxurious vacations can be these days! Since new deals on vacation packages, hotels, airfare, rental cars, etc. pop up every day, you should always be on the lookout for new savings opportunities. It doesn’t matter where you want to go or what you want to do, you can find travel deals tailored to your needs.